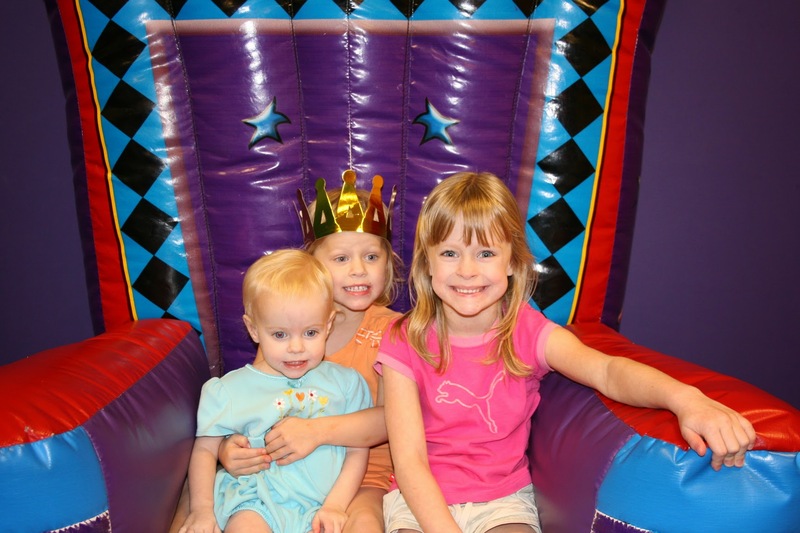 Two weeks ago we celebrated Emily’s fourth birthday party at Pump It Up. It’s a warehouse type place which is filled with blow-up bounce houses. We thought this was appropriate since when Abby turned four we rented a bounce house for the back yard. Anyway, Emily had a couple of their friends from school show up and a lot more neighbors and friends from church. They had fun bouncing around for and hour and then having cake. Jennifer made a special horse cake just for Emily’s birthday.